How to remove from listing / release shackle? View Sentrilock tutorials on you-tube or visit Sentrilock.com. Who can purchase a lockbox? SCAOR maintains ownership of lockboxes. The Association distributes lockboxes to their Brokers who have opted into the Sentrilock program who then share them with their Agents. What do I do with a defective lockbox? If you are experiencing trouble with a lockbox, call Sentrilock for troubleshooting. A lot of times they can get it working for you over the phone. If they cannot get it working, they will deem it defective and give you a ticket number. Bring the defective lockbox along with the ticket number to the SCAOR office so it can be returned to Sentrilock for a replacement. Sentrilock’s phone number is 877-736-8745. What is the cost of the SentriLock key card? The cost of the SentriCard® for REALTORS® is $125 for members, and $150 for non-members. Please note that SentriCard® charges are due annually in June. The annual fee, prorated monthly, is due at the time of issuance. SentriCards® are not owned, and must be returned upon termination of membership. Brokers may purchase an office card for $125.00. I lost or broke my key. How do I obtain a replacement key? If you lose or break your key, you can obtain a new one by stopping by the Sussex County Association of REALTORS® office with your driver’s license (You must be the one that picks up your own key). The first replacement card is free, after that the cost is $25. What is the cost of the key reader? SCAOR has a limited supply. Key Readers are $15. You will own the reader after purchase. Please note that card readers are not covered by your SentriLock warranty if deemed defective by Sentrilock. Key Readers are used to renew your SentriCard® which must be renewed daily for security reasons. 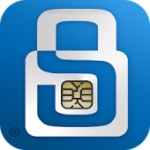 If you choose to use the Bluetooth app you do not need to renew your SentriCard® daily. Can I renew my SentriCard® without using a SentriCard® reader? If you’re away from your computer and you need to renew your SentriCard®, you can use a SentriCard®, a renewal code and a Lockbox to temporarily renew your SentriCard®. To generate a renewal code, you can use the Card Authorization Renewal System (CARS). You are limited to 30 times a month. The following instructions will guide you through using CARS to generate a renewal code: 1. To generate a renewal code, call CARS at 513-618-5805. CARS is available 24 hours a day, 7 days a week. 2. CARS will prompt you to enter your SentriCard® serial number and PIN. Note: After you enter your PIN, CARS will let you know when your SentriCard® expires. If the number of days left on your SentriCard® is greater than or equal to the CARS Renewal Period, CARS will not allow you to renew your SentriCard®. 3. Follow the prompts in CARS to generate a renewal code. 4. Once you have the renewal code, insert your SentriCard® into a Lockbox. Do not enter your PIN. On the Lockbox keypad, press FUNC + 0 + Renewal Code + ENT. Once the Lockbox is able to renew your SentriCard®, it displays the READY light. To access the key compartment or perform other functions, re-insert your SentriCard® into the Lockbox. When the Lockbox displays the CODE light, press your PIN + ENT. 5. If the Lockbox was unable to renew your SentriCard®, it will flash the CODE and ERROR lights. Try to renew your SentriCard® again. Re-insert your SentriCard® into the Lockbox and press FUNC + 0 + Renewal Code + ENT. Note: Renewing a SentriCard® via a Lockbox is only temporary. Typically, both the renewal code and the renewal period expire at midnight. For example, on Tuesday you call CARS and generate a renewal code. You must use the code to renew your card by midnight on Tuesday. Once you renew your SentriCard®, it is valid until midnight on Tuesday. Can I purchase batteries for my lockbox from other distributors? While under our warranty, you may pickup batteries from SCAOR at no cost to you. You can purchase batteries that fit the lockbox from suppliers other than SentriLock and the Association, but you run the risk of voiding the warranty on the box if an electrical problem results. SentriLock encourages you to purchase Association batteries which we distribute on behalf of SentriLock in order to maintain your lockbox warranty. SCAOR has partial reciprocity with Coastal Association of Realtors and Kent County Association of Realtors. This allows you to “show only”. If you want to list in Sussex County, you must be a Secondary member of SCAOR to get access to Delaware forms. If you are already a member of DAR, you must be a Sentrilock member of SCAOR. Contact SCAOR for a reciprocity form. 302-855-2300 or info@scaor.com.